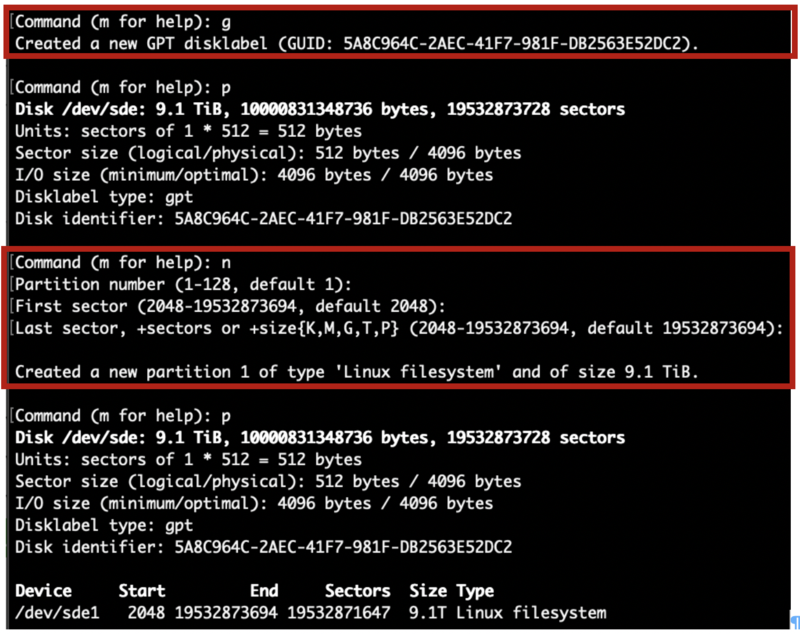 Partitioning and formatting a large disk | It`s full of stars! This entry was posted in Technology and tagged ext4, fdisk, parted. Bookmark the permalink.